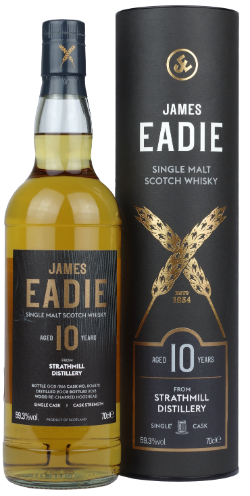 Following on from a very solid batch of releases last year, James Eadie have released another set of small batch and single cask whiskies, and several more expressions which fall into their new ‘Cask Finishes’ range. 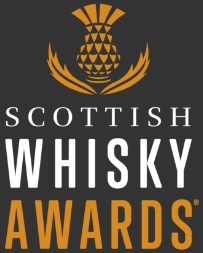 Seven drams in total, ranging from lesser know distilleries to household names, and covering everything from bourbon matured Speysiders to Palo Cortado finished Islays. If last time is anything to go by, this should be one helluva tasting session. Here goes. Nose: Grassy, apple chews, pine sap, custard creams, white grape skins and green wood. Palate: Very light – white pepper, vanilla, white chocolate, lemon zest and marzipan. Finish: Short, more of the pine, with ginger and green apple. Nose: Really creamy – white chocolate, vanilla custard uncooked cake mix, floral honey and pancakes. Palate: Very similar – Caramac bars, honeycomb, apple and pear skins, apple core and caramel wafers with a mustard seed nip. Finish: Apple and pear again, with freshly sawn oak. Nose: Quite resinous, with tree sap and a faint glue note. Then sweet mint, Chewits, pick n mix, marshmallow, pink wafers, lemon peel, and dry oak shavings. Palate: Quite hot neat, and lactoney, with white mice, apple chews, milk biscuits, lemon scented cleaner and a little bitter oak. Finish: The oak and peppery spices linger, with some bitter citrus. Nose: Quite meaty and nutty, with copper coins, red currants, kola kubes, cherry loaf, tobacco leaf, some varnish, and prune juice. Palate: The PX really sings – dark treacle, molasses, blackcurrant jam, stewed apricots and pears, sultana cake, boozy trifle, black tea and sweet leather. Finish: Moves to clove and cinnamon with rum soaked raisins. Nose: Waxy apples, vanilla candles, polished antique furniture, hot cross buns, walnuts, praline, milk chocolate and Danish pastries. Palate: Rich, sticky fruits – prunes, dates, sultanas, cherries, toffee, more chocolate, unlit cigar and toasted currants. There’s some cask stave underneath it all. Finish: Burnt fruitcakes edges linger with oily fruits and a sweet earthiness. Nose: Big and robust – molasses, dark treacle, sweet vermouth, coffee liqueur, brambles, raspberry preserve, figs, chocolate orange and gingersnap biscuits. Palate: Very earthy, with tea leaf, cask stave, Black Forest gateau, old leather, mahogany, blackcurrant cordial and espresso. Finish: Dark and tannic, with the coffee notes dominating along with dark chocolate and red currants. The PX influence is even more noticeable here than in the Dailuaine. Nose: The smoke is there, but in a coal dust, sweet soot, seafood BBQ way. There’s a nice coastal thing – lemon, brine, and rockpools – along with dried fruit mix and toasted nuts. Palate: A clean, salty start, then Arbroath Smokies, charred currants, some clove and singed citrus. There’s a smoked tropical fruit note and snuffed bonfire too. Finish: Lingering woodsmoke, with grilled pineapple and cask char. Overall: That was quite a session. The first three whiskies were quite pleasant, and all in the same flavour ball park. I’d have to go with the Aultmore out of the trio; the price point is spot on, and the liquid is pretty tasty. 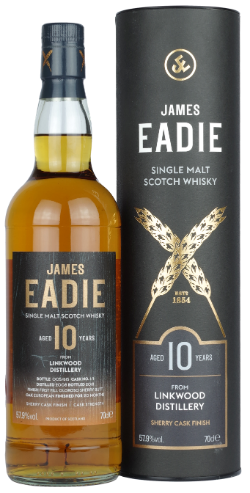 The cask finishes have also added another dimension to James Eadie’s offering, and if you’re a fan of sherry-matured whisky then each of these have something to tickle your fancy. For me, the Dailuaine and Glen Spey are a bit too heavily influenced by the PX cask. 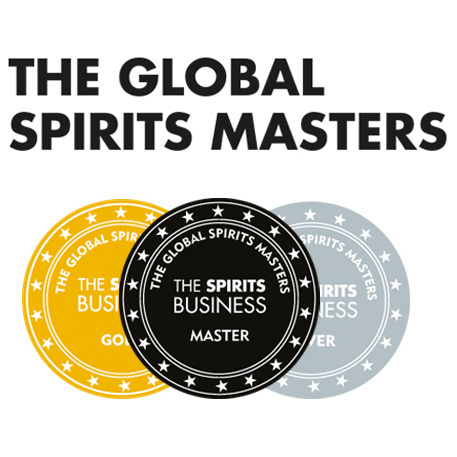 That’s not to say they’re not very enjoyable whiskies, but they’re not as balanced as I would like. The finishes on the Linkwood and the Caol Ila are a bit more restrained, and are all the better for it in my opinion, with the Linkwood maybe just shading it. 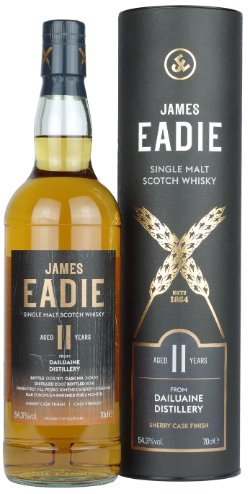 Another solid batch of whiskies all round from James Eadie, and with pretty friendly price points, they won’t hang around for long. This entry was posted	on Monday, February 25th, 2019 at 9:12 am	and is filed under Reviews. You can follow any responses to this entry through the RSS 2.0 feed. You can leave a response, or trackback from your own site.